Mouth guards are becoming more popular these days thanks to famous athletes constantly shown on TV wearing them. Over the counter mouth guards aren’t your best bet though, because they’re not designed to fit you properly. Our custom mouth guards, on the other hand, will. Also known as athletic guards, these are the mouth guards that you see on TV being worn by athletes. They’re crucial for sports that involve body contact, such as football, basketball, and boxing. But other athletes such as cyclists also wear them for protection in case they fall to the ground. The sports guards absorb the impact and keep your teeth from loosening when you’re hit in the mouth by an errant elbow. It can also protect other people’s heads when they come near to your mouth during play. The effectiveness of the mouth guard requires a custom fit so that your teeth get maximum protection. Our customized mouth guards are also more comfortable to wear. We can even make them in such a way that you can still talk while wearing them, which may be important when you’re deciding your team play in the game. You may snore at night because your lower jaw is in the wrong position. A snore guard shifts your lower jaw into the right position so that the air can pass through more effectively. This can reduce the level of your snoring because it lessens the vibration of the soft tissues at the back of your throat. Night guards are worn at night and are meant for people who have a tendency to grind their teeth while sleeping. This habit can result in headaches, and damage to your teeth and jaws. This type of mouth guard is also usually worn when you sleep. This time, it’s meant for people who have a tendency to grind their teeth, especially when they’re sleeping. This habit can result in damage to your teeth in the long run. The night guard is crucial when you’ve received expensive dental treatments such as dental implants and crowns and bridges. Your habit of grinding your teeth can damage the dental work. In some cases, your orthodontist may also recommend a night guard to keep your teeth from drifting out of position. If you also tend to grind your teeth as a nervous habit during the day, then we can also provide you with a mouth guard for daytime use. 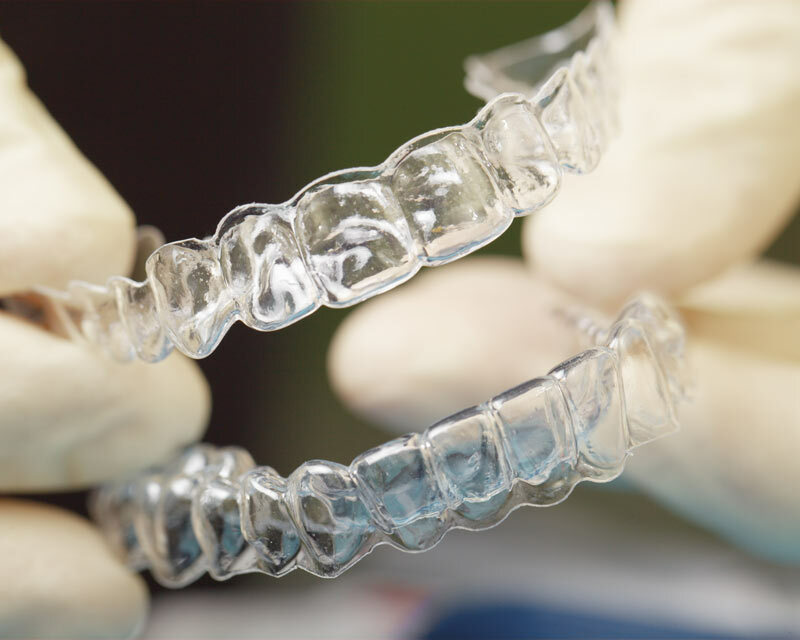 We can use Invisalign mouth guards that are essentially invisible, so that your smile is not affected.